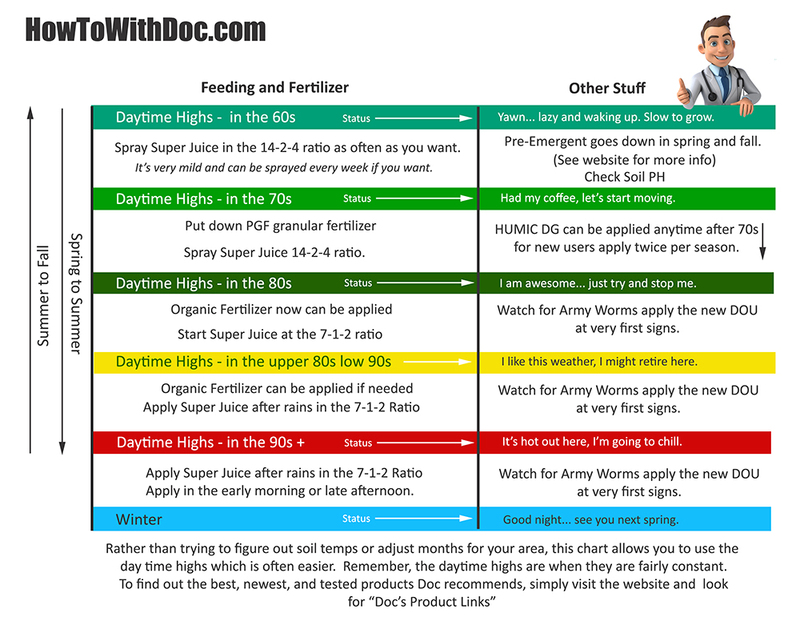 Which is the best lawn fertilizer? It’s not a simple question but in our eyes, there is one new product for 2019 that grabs the title, “best granular fertilizer 2019”. 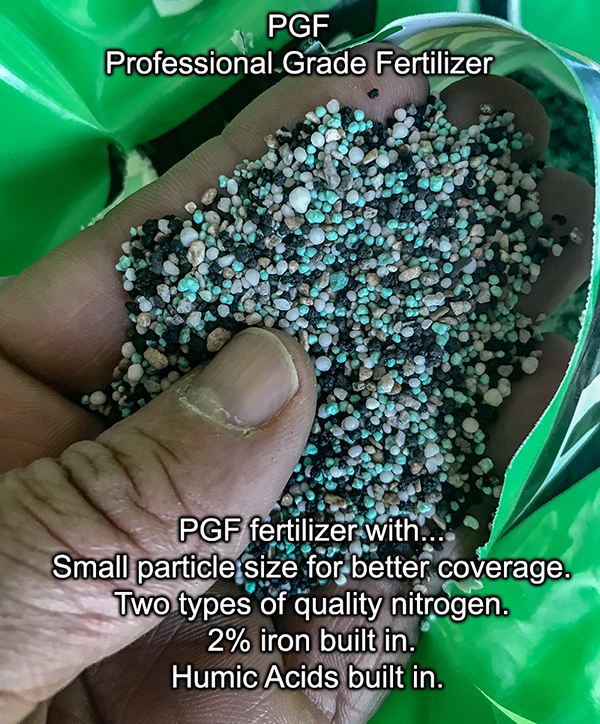 The new PGF, Professional Grade Fertilizer, is a granular lawn fertilizer that can be used on both warm season and cool season grass and has many benefits over the “big box” brands. – Small particle size MORE particles per sq ft.
– 16-0-8 with two types of high quality, slow release nitrogen. – Slow release feeds for 6-8 weeks. Treats 5000 sq ft putting down 1/2 pound of nitrogen per 1000 sq ft. Good for all types of lawns both warm and cool season grasses. 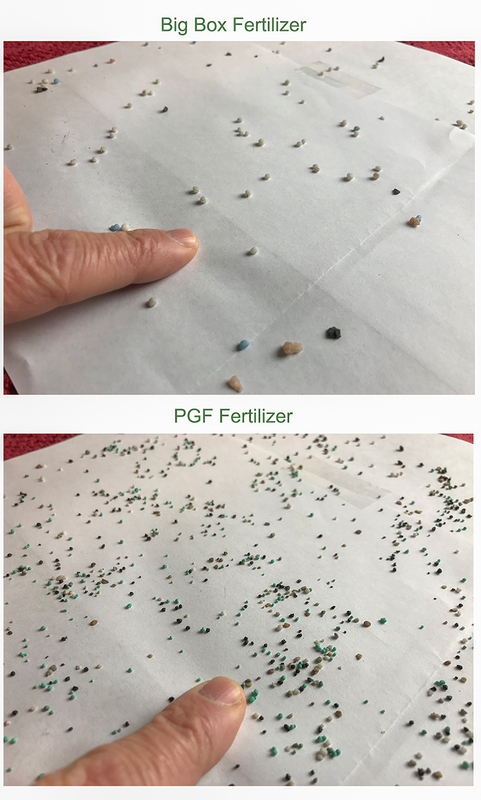 Below you see the coverage difference using the PGF lawn fertilizer. Microbial activity and soil temps.